Nearly 80% of all water bottles are not recycled, accounting for almost 1.5 million tons of plastic waste annually. 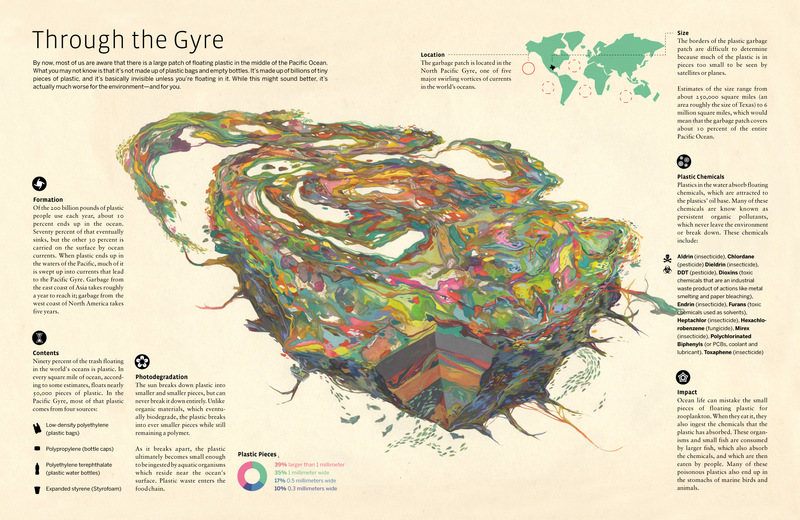 All of that plastic ends up in landfills, or worse, in the Great Pacific Garbage Patch. 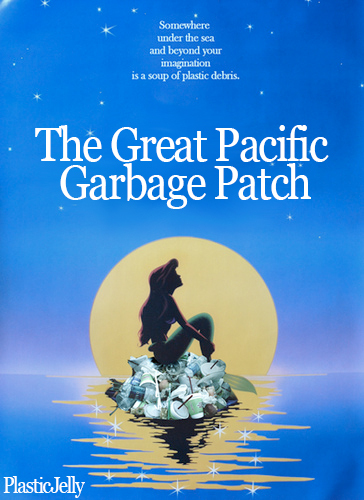 The Patch is estimated to cover as much as 10% of the entire Pacific Ocean and it’s made mostly of tiny pieces of plastic that are the result of the process of photodegredation. Since plastic is non-biodegradable, it remains a polymer while the sun can only break it into smaller and smaller pieces. 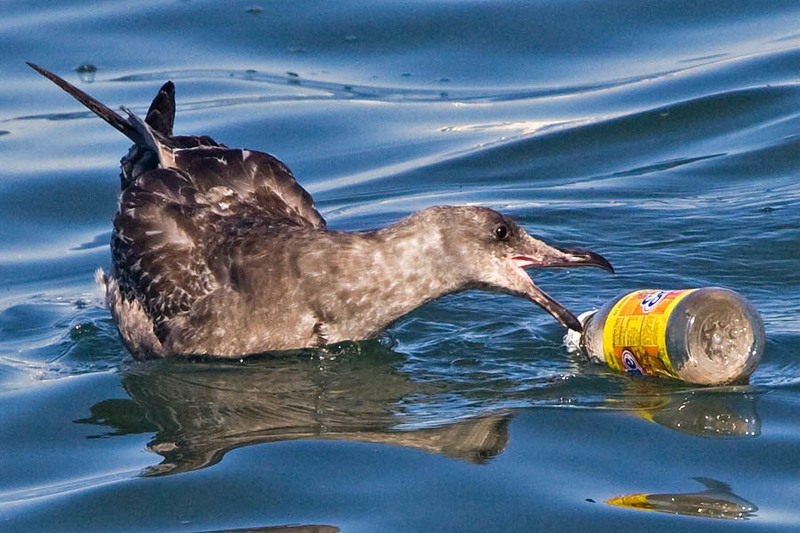 Once these pieces are small enough, fish and other aquatic animals mistake the plastic for plankton and ingest it. Even the plastic that isn’t eaten leeches harmful chemicals into the water, including pesticides, chemical byproducts, and toxic solvents. As a result, the plastics and chemicals that are consumed by the fish end up in our food supply. Delicious. 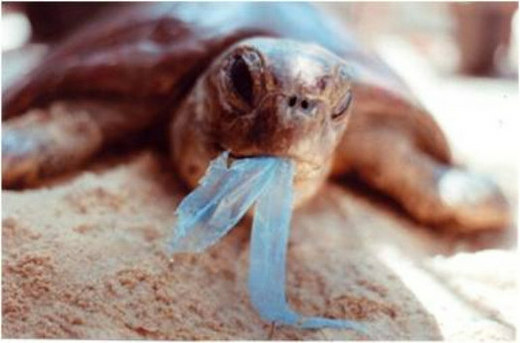 100,000 marine creatures and 1 million sea birds die annually from consuming or becoming entangled in the plastic floating in our oceans. 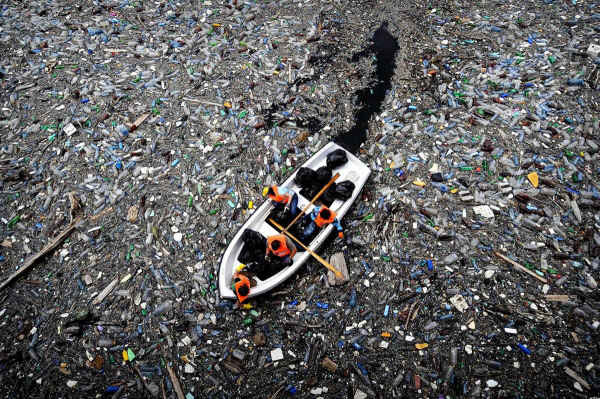 We understand that banning bottled water at UNSW won’t clean up the Great Pacific Garbage Patch, but a change in behavior beyond this campus has huge potential. Every plastic water bottle, every shopping bag, every disposable plastic utensil that isn’t tossed away can help protect our oceans and the animals that live within it. Still thinking about buying that bottle of water? Think again. We have been following this alarming story for the past several years. Thanks for the post. Every piece of education helps (we hope). I actually think it is a good idea to get rid of bottled water. I don’t really see much point in it. For several years I’ve been using a stainless steel bottle. It saves the environment (and saves me money too). Even if UNSW eventually does ban bottled water, there will still be plastic bottles being sold for other drinks, so people need to realise that disposing of plastic bottles in the yellow recycling bin helps the environment greatly. But banning bottled water on campus would at least reduce the amount of plastic bottles that are contributing to environmental problems.